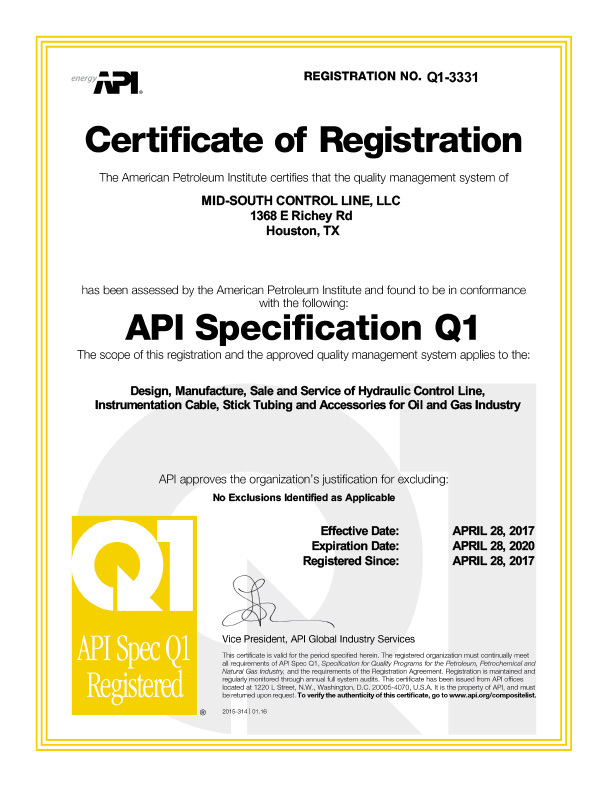 Mid-South Control Line performs a number of manufacturing steps in house giving us the ability to provide customizable solutions to our customers. 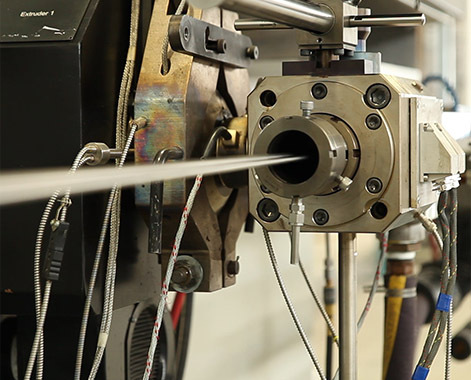 The extrusion of downhole components such as Hydraulic Control Lines, Tubing Encased Conductors (TEC), and Tubing Encased Fibers (TEF) has become prevalent in downhole applications. The overlaying of plastic provides several benefits that help to ensure a successful completion. Encapsulation provides a protective layer to keep the lines from being scratched, dented, and possibly crushed while running in hole. Encapsulation of several components (Flat Pack) provides a consolidation that will help reduce equipment and personnel that is needed to deploy multiple single components. In many cases, a flat pack is mandatory as rig space can be limited. Encapsulation keeps from metal to metal contact. Encapsulation can provide protection to underlying components while in hole such as a lines that can be across a sand face or possibly in contact with a high rate of gas. Hydraulic Lines depending on the length of the application are subjected to Orbital Welds. Orbital welds have become necessary in our industry as well completions are often greater than the standard yield of a mill produced coil. 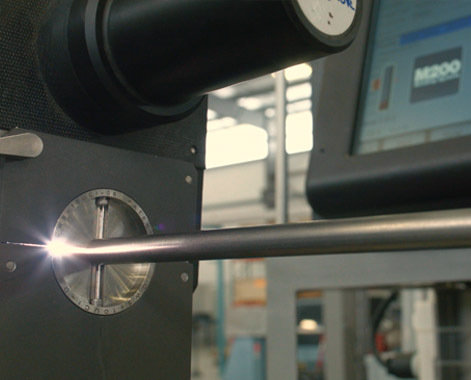 Our welding process uses a Gas Tungsten Arc Welding (GTAW) machine. 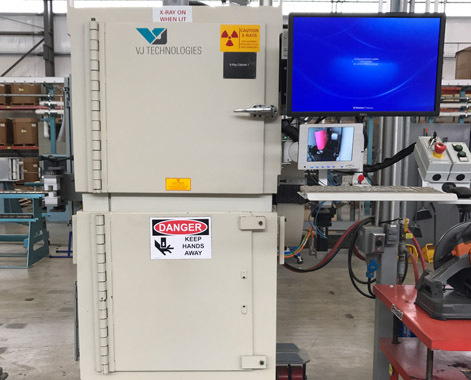 This computer controlled process gives the operator the tools to perform a repeatable, high-quality weld. Our current equipment allows us to weld OD Size ranges of 3/16” – 1” and Wall Thicknesses of .020” -.095” Common alloys we are welding are 2205, 304L, 316L, 825, 625, and Monel 400. 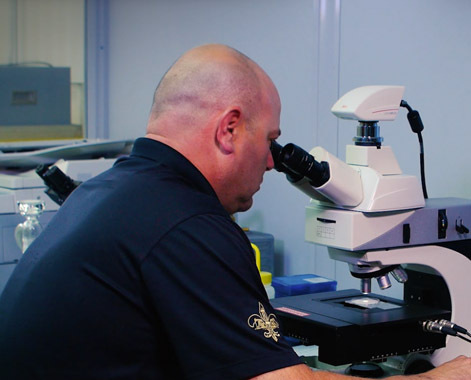 We perform a variety of test to validate the integrity of our products. Fluid cleanliness in hydraulic lines has become standard practice over the past ten years. Fluid cleanliness becomes paramount in a closed system application where the hydraulic lines are being used to actuate critical well components. We are continuing to evolve and find the most effective techniques to ensure not only fluid cleanliness but line cleanliness. Common procedures SAE 4059, and SAE AS598.